And it threatens to divide them. A new hotly contested issue is threatening to divide Canada's Tories. A handful of Conservative MPs and a Conservative senator jumped on this year's "worst Halloween candy" social media bandwagon Tuesday morning, starting with Saskatchewan Sen. Denise Batters. Ah, poor Molasses Kisses. Always getting the boot. But the usual debate over our least-favourite goodies took a sassy turn this year when — in response to the National Post calling it the "worst possible food"— Kerr's Candy defended its Molasses Kisses on Twitter. And Liberal MP Catherine McKenna even spoke out in support of Kerr's. And, on Tuesday, so did Conservative MP Lisa Raitt. My favourite candy. Brings back memories of growing up in Sydney! 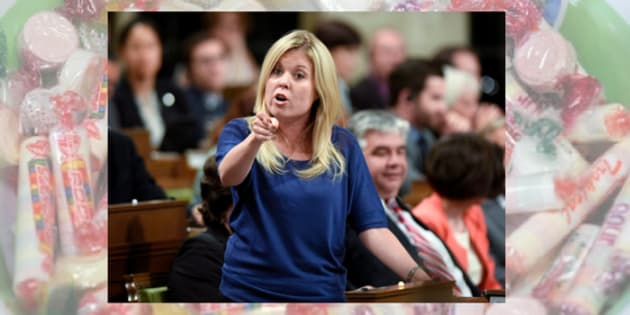 But then Conservative MP Michelle Rempel threw another worst-candy contender into the ring: Rockets. That didn't sit well with CTV "Your Morning" co-host (and son of former prime minister Brian Mulroney) Ben Mulroney. I have to side with @benmulroney on this one. I have to support local. The Rocket factory is right here in Newmarket Ontario. ... which prompted Rempel to retract her statement. ... and we totally don't judge.